netwars: The Code. Episode 2 of 6. - Hackers. Cyber warfare. Terrorism. Forget Edward Snowden and the NSA. Do you really know who's monitoring your data? -- Welcome to the Deep Web. Here, you can buy anything. And get away with it. Almost. -- With Anthony Prince, head of internet security firm PrinceSec, dead in a plane crash, the investigation into his murder deepens. The trail leads from criminal hacker group Black Flag to a national port authority, a dirty kidnapping operation, and a threat to national safety. Scott Mitchell, advisor to the National Cyber Crime Unit (NCCU), smells a rat. His previous case file against Black Flag had mysteriously disappeared from NCCU without a trace. Is there a traitor in the office protecting the hackers? Searching through Prince's recovered laptop, Mitchell discovers a suspect known only as Brown Bear. Who is this mastermind? Working under his secret hacker identity, Strider, Mitchell takes the law into his own hands. -- netwars: The Code is part of a transmedia project based on real facts and cyber-attack scenarios. The project spans multiple story platforms including a fact-based website (www.netwars-project.com) and the interactive graphic novel app "netwars: The Butterfly Attack." For fans of Dave Eggers, THE CIRCLE; Daniel Suarez, DARKNET; the movie ENEMY OF THE STATE, and espionage and high-tech thrillers. -- About the Author: M. Sean Coleman launched his career as one of the original writers on Hitchhikers Guide to the Galaxy Online. He has since written and produced original, award-winning shows for MSN, O2, Sony Pictures, Fox, the BBC, and Channel 4. He continues to write novels, graphic novels and tv scripts from his home in London. 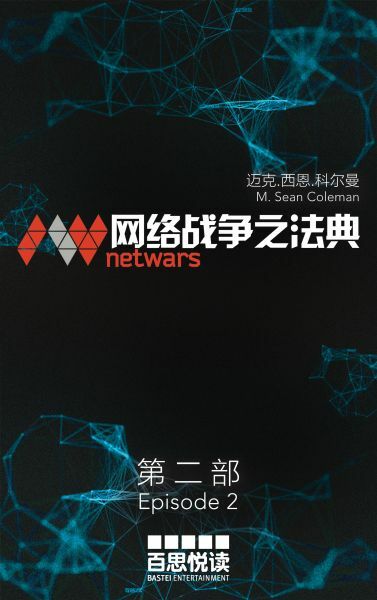 -- This is the Chinese edition (simplified characters) in EPUB 3 format. Please check if your device supports EPUB 3 before purchasing.